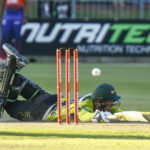 The Warriors secured a 4-run win over the Titans on the DLS method as the rain put a damper on proceedings in Centurion. The Warriors won the toss and elected to field first on a belter of a wicket at SuperSport Park. 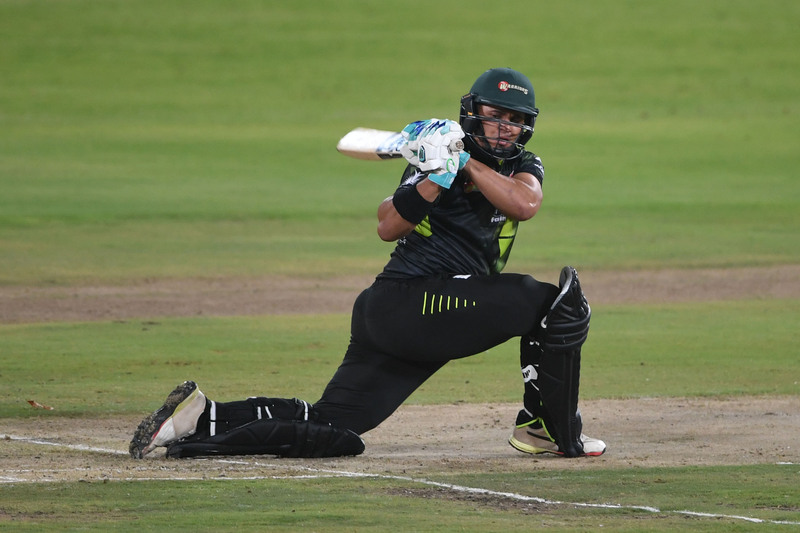 The Titans rocketed to a competitive 216-5 thanks to a blistering half-century from Theunis de Bruyn. Gihahn Cloete was equal to the task during the Warriors’ chase but unfortunately, the rain cut proceedings short. The entire fixture was a stop/start affair as both rain and lightning regularly interrupted the high-scoring match. De Bruyn starred with the bat in the first innings by smashing 74 off just 38 balls, including four fours and five sweltering sixes, at a strike rate of 195. Cameos from Diego Rosier (37) and Grant Thomson (42 off 18 balls, 4×6) also contributed to the home side’s mammoth first innings with Lutho Sipamla the pick of the Warriors bowlers with his 2-34 in four overs. The Warriors eventually began their reduced innings with a revised target of 200 off 18 overs. Cloete took to the opposition bowlers with flare as he struck an unbeaten 46 off 25 deliveries (5×4, 3×6). His 60-run opening partnership alongside Matthew Breetzke power his side to victory after 6 overs, when they were four runs beyond the DLS par score. It was at this point that the heavens opened and the rest of the fixture was abandoned and the 26-year-old left-hander claimed the Player of the Match award for his heroics.